In the last decade, technology has been able to enter and innovate all types of markets from automobiles to house thermostats. One market that remained relatively stagnant was the fitness and health markets. With fitness trackers booming this year, fitness trackers brought together fitness and technology in a helpful, wearable, piece of technology. Products such as the Jawbone UP, Nike Fuel-band and Fitbit’s Flex are all designed to be worn around the wrist, like a bracelet, 24/7 and track all patterns of movement, sleep, workouts and food consumptions. 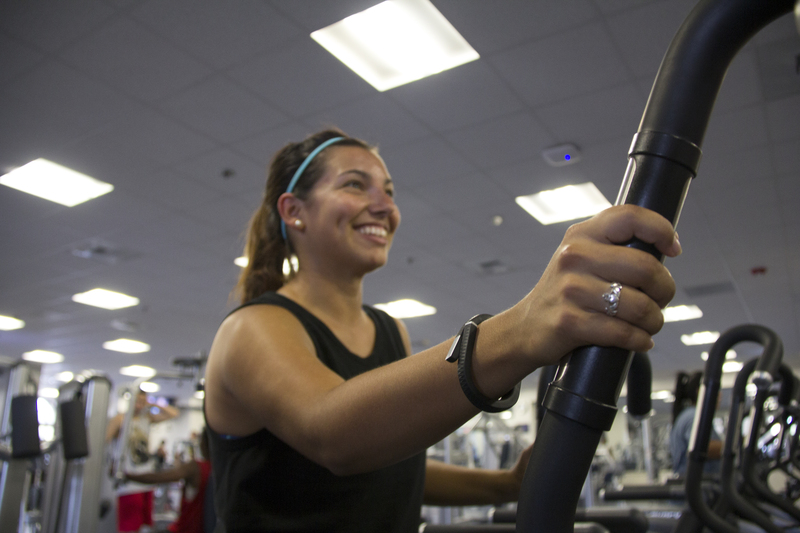 Elizabeth Mortenson, junior sociology major, owns the Jawbone UP and likes it. “It is so nice to see the amount of sleep I get and the amount of calories I burn a day. The step counter helps a lot and encourages me to take that extra step,” said Mortenson. Each works a bit differently, and the Nike tracker retails for $150 dollars and sports a clock and screen and even syncs wirelessly with an app on a smartphone. The purpose of this is to track all workouts, sleep and food intake. The Fitbit band sports a row of small LED lights that show how closely goals are met for the day and allow the band to be smaller than the Nike. It also comes with wireless syncing to an app on a smartphone and for a retail price of about $100. Jawbone’s UP is the smaller of the other two and it does not wirelessly sync to a phone, but a cap comes off to reveal a 3.5MM headphone jack that plugs into the bottom of the phone. The retail price is about $130. Each band is very similar in that all three automatically tracks steps, such as a pedometer, and they chart out exertion level throughout the day. All of the bands track sleep patterns and habits, when enabled to do so. These apps allow users to log all food consumption and workouts. Both the Jawbone UP and the Fitbit come with built-in alarms that cause the wrist trackers to vibrate and wake the user as he or she are coming out of a deep sleep either 10, 15 or 20 minutes before a schedualed alarm. Lauren A. Heilman, sophomore kinesiology major, explains that the concept is there, but the product is not as accurate as she would like it. Whether or not these trackers will revolutionize the way people stay active by being helpful or being an expensive reminder on the wrist, both the time and scale will tell.